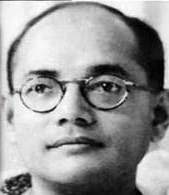 Introduction:- Subash Chandra Bose was a great hero of India. He was born at Cuttack in Orissa on 23rd January 1897. His father Janakinath Bose was a famous lawyer. His mother was Pravabati Devi. He was very much devoted to his parents. Education:- He completed his school education in Ravenshaw Collegiate School and studied at the Presidency college in Kolkata. He was very clever, intelligent and also meritorious. He was influenced by Swami Vivekananda. After obtaining an honours degree from Calcutta University he went to England to appear at the I.C.S. He came out with success. Life and work:- India was then under the British rule. Mahatma Gandhi launched the Non-co-operation Movement against the British rule. It attracted Subash Bose. His heart was filled with patriotic feeling. He refused to serve under the foreign rulers. The ideals of Deshabandhu Chittaranjan influenced him much. He joined the National Congress and became its President. Fearing a fierce agitation the British Government imprisoned him. Achivements:- As he wanted to launch a different struggle for freedom the elder leaders did not like his revolutionary spirit. He left the congress. He felt that the Indians would never achieve Independence by non-violent means. He wanted to fight directly with the British Government. He was kept in house arrest when the second world war began. But he fled away in disguise. He sought foreign help to make India free. In 1939 he formed the Forward Block. He reached Germany and organized a National Army in Europe. Then he came to Singapore and formed the Azad Hind Fouz. He established his Azad Hind Government with the help of Japan he came to India. His army fought against the British forces. He hoisted the Freedom Flag at Imphal in Manipur. Conclusion:- But it is a matter of regret that Subhas met his untimely death on 18th August 1945 while he was in the plane to Russia. “Jai Hind” was his main slogan. He was well known as Netajee.